Market information 2017: 12,656 pax indirect traffic to Gulf region. Inbound Swiss tourism 2017: 9000 pax. Market information 2017: 3,391 pax indirect traffic. Inbound Polish tourism 2017: 154,760 pax. Market information 2017: 9,697 pax indirect traffic. Inbound Portuguese tourism 2017: 3,700 pax. Market information 2017: 3,338 pax indirect traffic. Inbound tourists from Slovakia in 2017: 2,100 pax. Market information 2017: 4,870 pax indirect traffic. Inbound French tourism 2017: 36,300 pax. Market information 2017: 4,689 pax indirect traffic. Inbound Spanish tourism 2017: 35,300 pax. Market information 2017: 5,901 pax indirect traffic. All catchment area: DSA, LBA, MAN 74,597 pax traffic. Inbound British tourism 2017: 66,400 pax. Market information 2017: 18,793 pax indirect traffic. Inbound Russian tourism 2017: 162,895 pax. Market information 2017:3,393 pax indirect traffic. Market information 2017: 13,332 pax indirect traffic. Inbound tourists from Czech Republic 2017: 11,000 pax. Market information 2017: 7,031 pax indirect traffic. Inbound tourism from Bulgaria 2017: 2,802 pax. Market information 2017: 7,748 pax indirect traffic. Total traffic to Georgia 2017: 32,682 pax. Market information 2017: 13,634 pax indirect traffic. Charter flights from VNO 14,940 pax. Market information 2017: 2,125 pax indirect traffic. Inbound Greek tourism 2017: 4,500 pax. Market information 2017: 2,577 pax indirect traffic. Inbound Norwegian tourism 2017: 34,884, pax. Market information 2017: 4,460 pax indirect traffic. Outbound tourism to Croatia 2016: 34,000 pax. Inbound tourism 2017: 1,480 pax. Market information 2017: 18,387 pax indirect traffic. Inbound Swiss tourism 2017: 9,044 pax. Vilnius Airport handled 3.8 million passengers in 2016, up 14% on 2015. 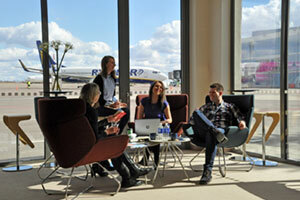 The airport's busiest operators are Ryanair, Wizz Air, airBaltic, Lufthansa and LOT. Over 20 airlines operate scheduled services from the airport. Vilnius Airport is the fastest growing airport in the Baltic region. 2017 was extraordinary year for the airport as it was closed during the peak time for runway reconstruction. Nevertheless the level of passenger carried was kept the same comared to 2016 (3.8 million). Competitive airport charges – among the lowest in the region. 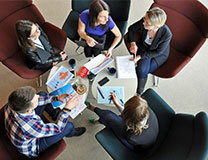 Attractive incentives and active marketing cooperation. Largest economy in the Baltics. Biggest O&D market in the Baltics. De Minimis support for new routes and frequency increase. Up to 200 000 Euros for 3 years. Possible support from Vilnius municipality. Marketing support from Vilnius Airport. 1 hour catchment area 0.8 million. 2 hours catchment area 2.0 million. 3 hours catchment area 4.0+ million. 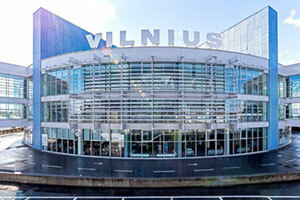 Vilnius is easily reachable direct by train, local and shuttle busses. There are also direct intercity services to Kaunas, Klaipeda, Riga and Minsk from Vilnius Airport. The airport is conveniently connected to Kaunas and Klaipeda via the A1 motorway, and to Riga via the A2 motorway. Runways: 1 – length of 2 550 metres. Terminals: Single terminal. The capacity of the terminal is more than 3.5 million passengers. Min. connect time: 30 minutes. Other relevant Infrastructure & Operations details: 6 jet bridges, 6 self check-in kiosks. Baggage handling system reconstruction till 2019. Self baggage drop – off kiosks till 2019. Passenger numbers: 3.8 million passengers in 2017. Airport statistics can be found here. Largest carriers: Ryanair, Wizz Air, airBaltic, Lufthansa and LOT.